According to the U.S. Food and Drug Administration, pears are free of saturated fat, sodium, and cholesterol. They are also low in fat and are an excellent source of fiber and a good source of vitamin C.
Pears are a good source of vitamin C which has been shown to help prevent cancer. 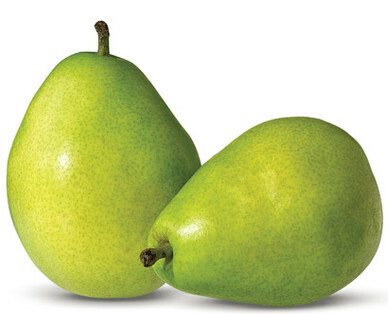 As an excellent source of fiber, pears can help reduce the risk of diabetic heart disease. Pears have a versatile flavor that works well in dishes, from stuffing to fruit salad. Pears should be firm and when the neck yields to firm pressure, they’re ready to eat.